Search For "Agriculture" Companies in Altamont, Tennessee - Click Here Now! TN Nursery Is A State Certified tree Nursery Grower With Affordable Wholesale Prices. At Tn Nursery, Anyone Can Order From Our Website Without A Tax Id Or Nursery License. Just Add To Cart And Checkout. 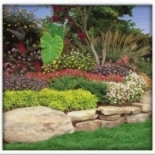 TnNursery in Altamont is a company that specializes in Lawn & Garden Services. Our records show it was established in Tennessee.